Located in Peyzac-le-Moustier, in the Périgord, the Roque Saint-Christophe is a cliff high of 80 meters and stretching on 5 levels. 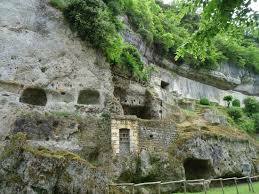 It is the largest troglodytic site of the West and was inhabited from prehistory to the end of the Renaissance. It is therefore a key witness of the history of the Dordogne where we can still discover the dwellings of our ancestors. In the opinion of all, it is a wonder that has preserved its authentic beauty, wild and its many mysteries! Throughout the year, you can visit it, especially since the rates are within the reach of all the scholarships. You can also enjoy lunch or dinner at one of the delicious restaurants in the area! 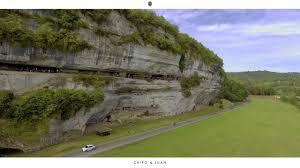 La Roque Saint-Christophe rises in the valley of the Vézère in the Dordogne, in a magnificent green setting. One kilometer long, it shelters a hundred underground shelters and aerial terraces. In Prehistory, the population had chosen to live there. In the Middle Ages, it was transformed into a fortress and a city. Today, we find these very old dwellings as well as a conservatory of medieval lifting machines. 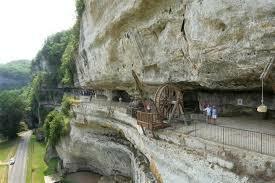 Everything has been superbly reconstructed in order to make us discover the history of this mythical cliff of Périgord! The opinions are unanimous on this subject: it is a true troglodytic masterpiece! During your stay in our campsite in the Dordogne, it would be a shame not to go for a ride in the commune of Peyzac-le-Moustier. Indeed, we strongly advise you to visit the Roque Saint-Christophe. The rates are affordable. For an adult, it is necessary to count 8.75 € against 5 € for the children from 5 to 13 years. A special price is provided for students and under 25 years which is fixed at 6,50 €. There are also rates for groups of 20 people or more. Activities are also organized at certain times of the year at no extra charge, such as guided tours, demonstrations of washing machines and medieval entertainment. And before or after your site, do not hesitate to stop in a restaurant to taste the gastronomic specialties of Périgord, another aspect of the history of our region!